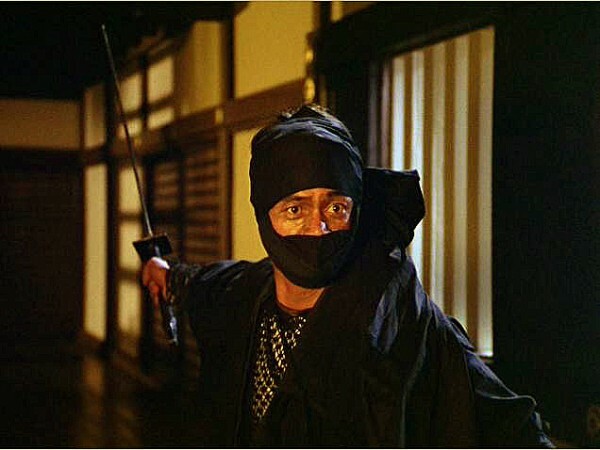 Concurrent to the Shinobi no Mono films jet propelling Japan’s 1960s ninja craze was the smash hit TV series Onmitsu Kenshi, aka “The Samurai” in Australia. 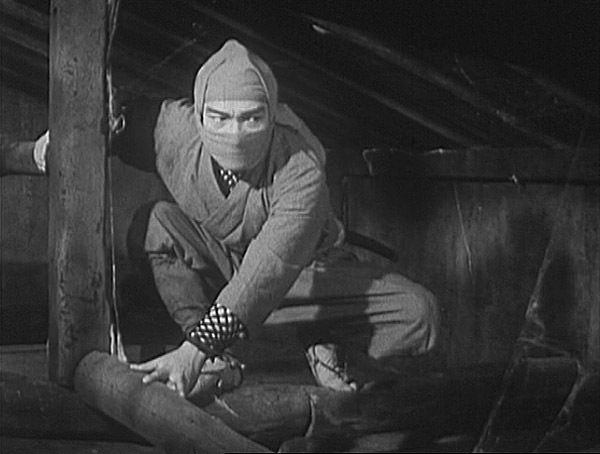 If Shogunate swordsman Shintaro was the samurai Lone Ranger, grey-suited ninja Kiri no Tonbei was his Tonto. Virtually unknown outside of Japan and Australia, we got ahold of early DVD sets of this series from a close friend down under and did our best to make Tonbei the Mist a household name to the rest of the world’s ninja fans. And we’re still bitter as hell the English-dubbed ninja-laden ten seasons of this show never made it to the States during the 80s boom. Scott Adkins might be the last of a dying breed of martial arts action movie regulars. And while his better-known ‘Boyka’ films are indeed superb, Isaac Florentine’s 2010 love letter to all things 80s ninja was just the bees knees. While nowhere near as well known as the contemporary Ninja Assassin or the GI Joe live action films, this flick did the modern ninja superhero thing better than all of them, balancing retro nostalgia and forward-thinking perfectly. There is no bigger advocate for this movie (and its sequel) than this site, and if you were one of the unaware whose throats we pushed this movie down wether you wanted it or not, you’re welcome! Probably the most virally prolific image we’ve ever published, the few hours I spent screen-capping and collaging the unforgettable credit sequence from Enter the Ninja are still paying off. To this day I see this image all over tumblr, Twitter and Facebook, and if that gets some young whippersnappers to watch the old gem that is Enter, then it was time well spent indeed. 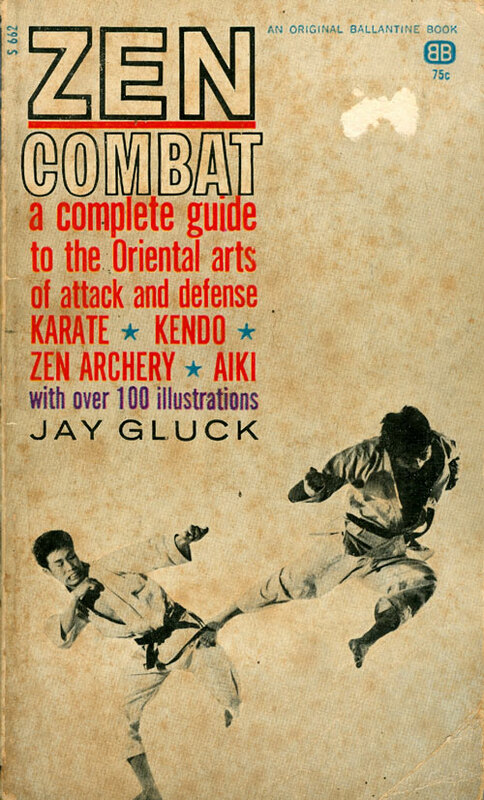 Buried deep in the 1962 book Zen Combat, an otherwise unremarkable collection of articles on Japanese martial arts, is a rather surprising take from a Westerner on what was then a new boom in organized ninjutsu in Japan. Jay Gluck has little-to-no good to say of the new “ninjutsa” [sic] fad, considers it all a bunch of fish tales and charlatanism, and hopes it’ll go nowhere. This is history-making early recognition of ninja in English and deserves to be in more aficionados’ libraries. 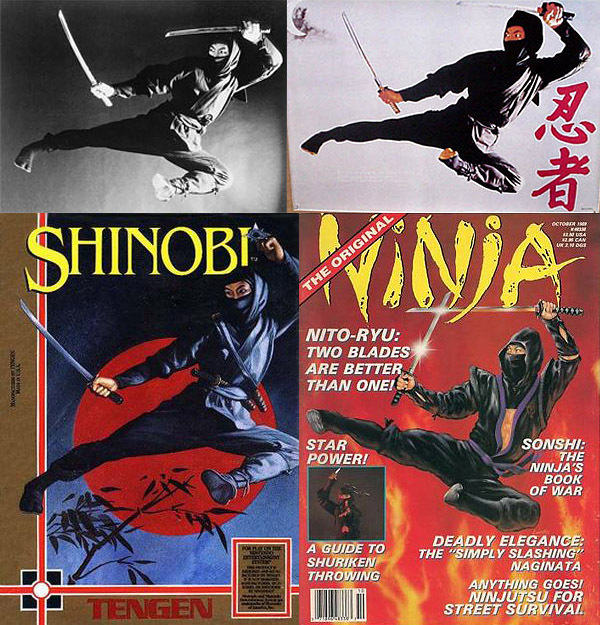 Shot as a publicity still (and source pic for the painted movie poster) before the release of Enter the Ninja, Sho Kosugi‘s take on the Bruce Lee flying kick added the ninja wardrobe and two wakizashi and immediately become THE icon of the 80s ninja boom. It was endlessly homaged, parodied and shamelessly pirated, hundreds of times over. We’ve been collecting these images for years and haven’t run out yet. 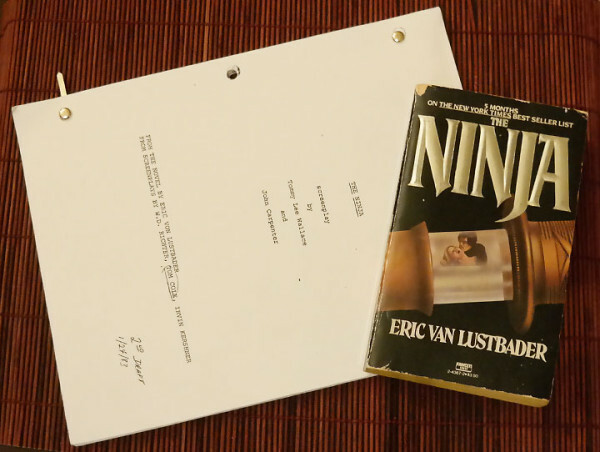 Eric Van Lustbader‘s novel The Ninja was a massive bestseller and must be considered the most successful mainstream media entry into the 80s American boom. It was immediately optioned for a big budget, A-list film that somehow never found traction in Hollywood. We compare the book to various abandoned versions of the proposed script, analyze what the legendary John Carpenter would have done with it, and even speculate on some casting. 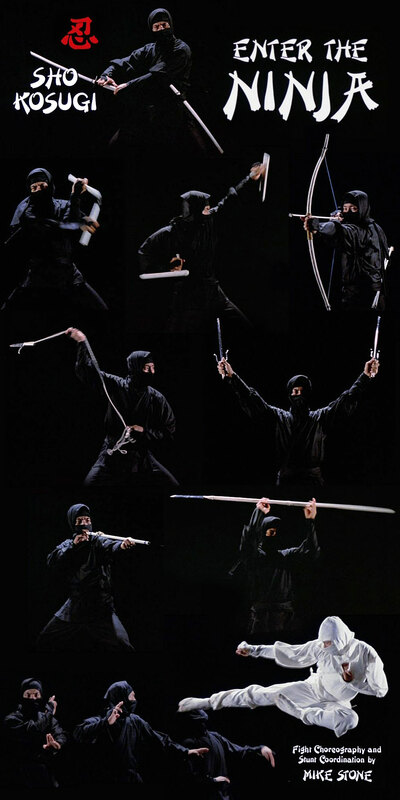 The most significant event of the ninja craze that never happened unfolds. Plenty’s been written about what was then the biggest James Bond film ever, but nowhere else will you find a more in-depth and broad-reaching look at the 1967 ground-breaker from a totally ninja-centric perspective. 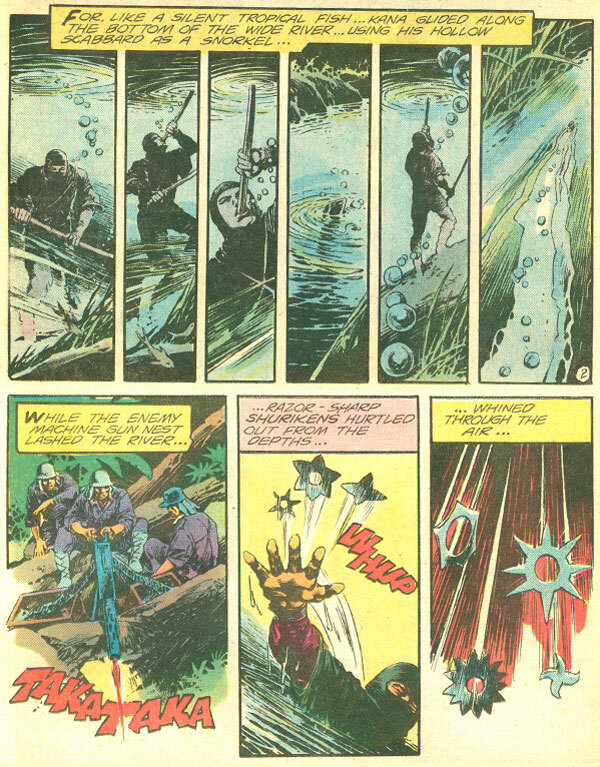 From the nearly-forgotten newspaper comic strip ninja to the first ever toy kunoichi, we exposed how Britain got English-language ninja a decade and half before our craze. Long-standing Bond media, from official social feeds to fan sites and print mags eagerly picked up on our fresh look, as the film that introduced ninja to the western world turned 50. As we blow out our nine candles, we just want to say thanks to everyone who reads, shares and even contributes to this site.